In my vocabulary, the word “virgin” in the Bible means “clean, spotless, God-anointed Christians.” We have passed the state of dealing with the Christians who are half in and half out. We are now at the stage where we are dealing with those who were born again, who are sanctified, baptized in the Holy Ghost, and walking with God in purity! These virgins were dressed. They had on the wedding garment of Christ’s righteousness. That means that they were well prepared and ready and waiting for the Lord. More than that, they had “oil” in their “lamps.” That means they had the Holy Spirit in their spirits. They were well equipped. They were ready! However, guess what? Trouble comes. Distress comes. The time that the Bible calls “midnight” comes. The word “midnight” in Scripture has a specific meaning. It means problems of the worst kind. In Exodus 11, it was at “midnight” that the firstborn of the Egyptians were slain, and those who were under the blood were sheltered. If God did not shelter them under the blood, they would be dead. In Ruth 3, it says that at “midnight” Boaz woke up, and found that a woman (Ruth) was lying at his feet; the Bible said that he was afraid, and he took off his coat and covered her. This woman is a picture of the Church, and at midnight we are going to need a covering from Jesus Christ, our Boaz! So then the Bible tells us what the meaning of midnight is. Look for midnight through the whole Bible and you will see that at midnight there is destruction, but also there is salvation. Always! In the whole Jewish calendar, the Jewish year from Passover at the beginning of the year right back to Yom Kippur (the Day of Atonement) represents the action of God for the whole 2,000 years from Jesus Christ to the end of the age. If you take everything that happens in the Jewish calendar right down to the last with the High Priest entering into the Holiest of All, you will find that it is depicting everything that is going to happen to us, the Church, from the coming of Jesus until His return at the end of the age. Midnight comes just before morning, so we find therefore that that this “great tribulation,” this great darkness that is coming down on the earth, must finalize itself before Jesus Christ returns, because Jesus is our Morning! He is our Daylight. He is the Light of our lives and He is the Sun of our righteousness. It says in 2 Peter 1:19, “…until the day dawn and the day star arise in your hearts.” The Daystar will arise after midnight, and we are first going to go through this great suffering of “midnight,” which is the “great tribulation” (see Matthew 24:21) that we have already entered. It has already begun, but you do not feel it because you were born in it. To you the things that are going on now have become so natural, but the happenings of today are very unnatural! Nobody could have thought that the things that are happening around us would happen. It is very unnatural, but we are being “desensitized.” The Devil so fixes it that he creeps upon us gradually so that we do not really feel the tribulation. However, though we are not feeling it, the tribulation is here. Thought for today: Let us be sensitive to the time we live in and prepare ourselves for the midnight hour. 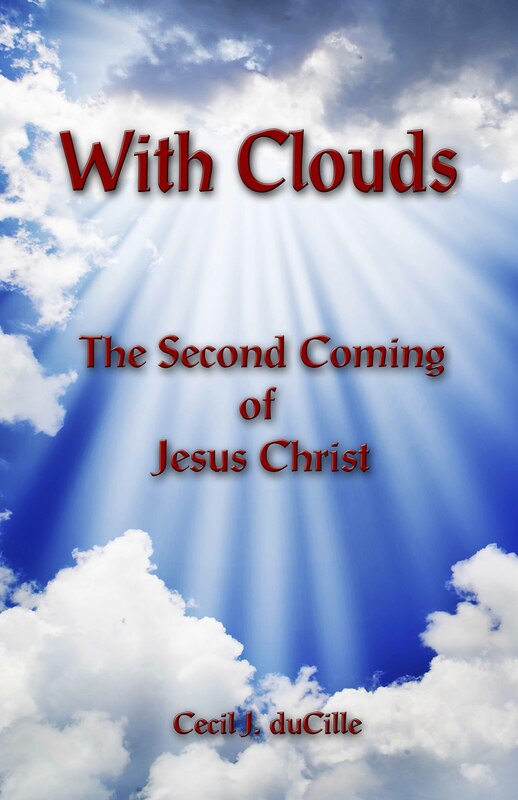 We are now entering into the end of the Great Tribulation, which is the worst part of the tribulation and when many things are going to happen, like losing our houses, our bank accounts, and our present way of life that we know and love so much. In this time, we must still hold fast to the promises of God and carry on His work for the deliverance of men. God is strengthening us at this time in our walk with Him. God is not expecting us to do it by our own will, but He is expecting us to believe Him. Somebody was sharing about Abraham and depicted him as an ordinary person, which he was. But at the same time God testified of him several times in the Scriptures that “Abraham believed God, and it was counted unto him for righteousness.” Abraham was righteous in his generation, although the requirements in his day were not what God would require of us today. The Blood of Jesus was not yet shed and the Holy Ghost was not yet given. How blessed we are! In order for us to be found in the same heavenly places where faithful Abraham was, we have to be part of what the Bible calls the Firstfruits company. Some of us might be saying to ourselves, “I do not know if I am in the Firstfruits company. I do not know if I am worthy. I do not know if I will make it. I probably am not because I slipped and fell last week, and nobody knows. The people in church do not suspect that I get mad sometimes, and curse other times, etc., etc.” All these thoughts are designed by the devil to convince us that we are not of God. But the truth is that for us to be worthy, we only have to trust God. God has a different design. God’s design is that by faith we can lay hold of His promises and that by faith we can enter into His everlasting Kingdom. If we sin, we have an advocate with the Father—Jesus Christ; and with the remission of sins comes purity and holiness. Thought for today: Remember it is by faith that we can lay hold of His promises and by faith we can enter into His everlasting Kingdom.